When Supergirl became a part of the expanding DCTV franchise a huge swath of the geek populace was finally given a superhero to look up to. Except actually, now we had two: not only does Melissa Benoist’s Supergirl represent everything that we have come to expect from a “strong female character,” but the show’s creators gave Kara Danvers (as she is known in this particular incarnation) an older, adopted human sister: Alex. 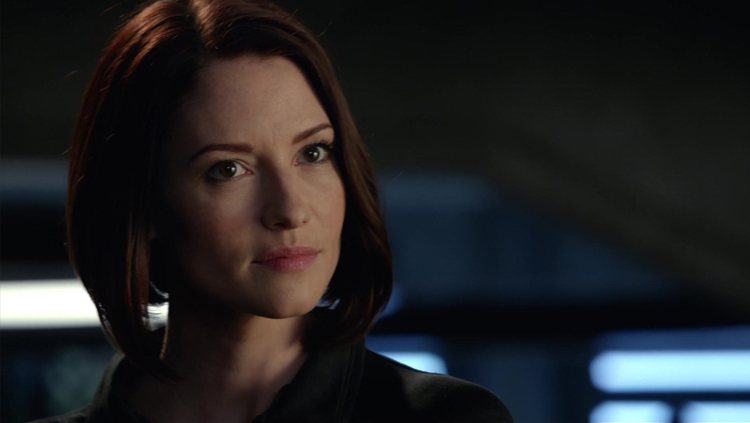 Alex, played by the Chyler Leigh, is extraordinary. She is everything her super sister is and more, just minus the metahuman abilities. She’s the point of view character for us, the audience, and the default introductory character for viewers of all ages. Alex is a secret agent trained in a variety of martial arts, able to capably wield any weapon imaginable. When Supergirl has to do battle with the Red Tornado early in the first season of the show, Alex is the one who knows how to take him down. In the first arc of the Adventures of Supergirl tie-in comic book (written by Sterling Gates, with art by Bengal), Supergirl needs to be broken out of capture by a strike team… that is led by her sister. Now, this doesn’t always mean that Kara likes having to rely on her older sister (like all younger siblings), to the point where she refuses to wait for Alex before jumping through a portal to a dangerous alien world in Supergirl Lives (a.k.a. The one directed by Kevin Smith). Kara has enough sense to tell Mon-El to “go get Alex” and it turns out to be good advice when Alex and her DEO team come through the same portal and are instrumental in saving Supergirl, Mon-El and a collection of refugees along with them. When we meet her she is at the height of her career success, financially stable, physically fit and single. Alex is established to be the opposite of a female romantic lead. Instead that duty falls to Kara, who is presented with three love interests over the course of the first season and in the second season, where we presently find ourselves, is up to five. It isn’t so with Alex. Rather, her focus is on succeeding in all the other aspects of her life, which, when you think about it, is actually a lot more impressive than what Kara has accomplished. Most of Kara’s success is derived from her Kryptonian superpowers, whereas Alex has had to earn everything that has come her way. With her incredible combat and weapons training and tactical mind, Alex has fashioned herself into Supergirl without the powers. In many ways, Alex is the real Supergirl. There is, of course, the lingering question: would Alex have become the woman she is if her parents hadn’t adopted Kara Zor-El? Tough to say, although it is perhaps best examined along with the question: would Alex have joined and risen through the ranks of the DEO had her own father (Jeremiah Danvers), not disappeared on duty? Probably not. It can’t have been the easiest thing to have trained so hard and pushed herself so completely if there hadn’t been an end goal in mind: to save her dad and protect her sister. Alex’s life has been spent in service of those whom she loves the most. 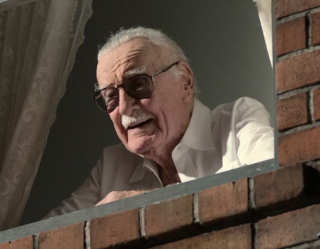 But i that doesn’t stand up to legacy set down by Clark Kent himself, I’m not sure what does. Alex Danvers is the woman viewers can find a bit of ourselves in and that we can strive to be a little bit more like. In episode 1.10, Childish Things, we even see Alex go on a very painful date with Maxwell Lord. It’s an interesting move for her character as it proves that Alex is willing to use any tool at her disposal – including Lord’s attraction to her – in order to acquire information that could help the DEO take him down. By that point in Supergirl’s first season both the viewing audience and the in-universe population know that Lord is a villain. More than even the telepathic Martian on the team, Alex is able to infiltrate the circle of Lord’s trust and uncover important information about his actions against metahumans and, by extension, Supergirl. 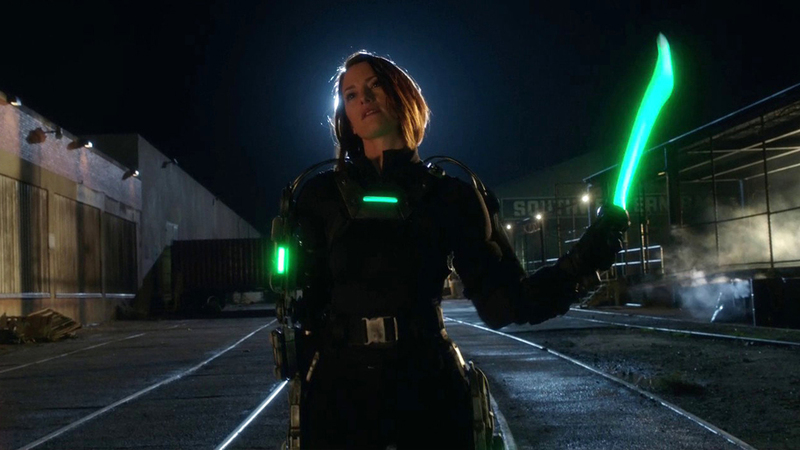 In the most recent season of Supergirl Alex has had a major identity shift, cementing the importance of her character in the pantheon of DCTV characters. 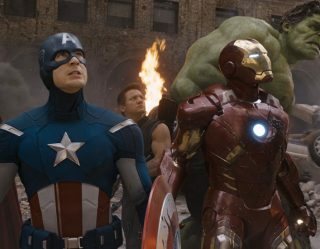 She represents multiple marginalized groups of people, normalizing different aspects of their lives through a measured, wonderful performance and cool superheroic set dressing. 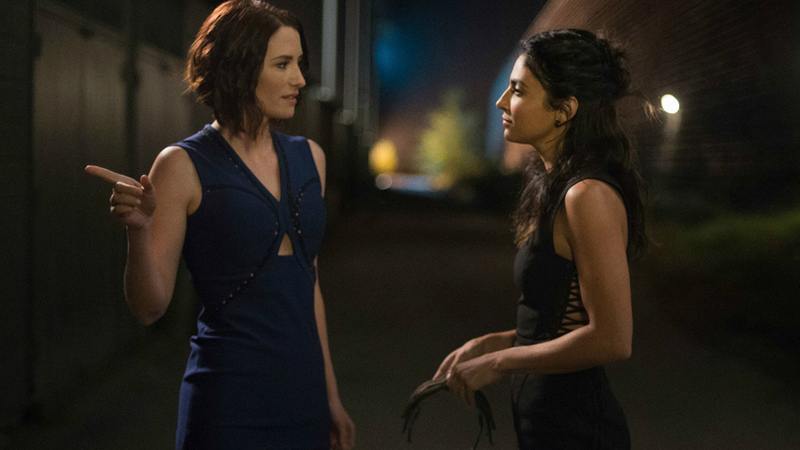 As both a female and a member of the LGBTQIA+ community, Alex is doing double duty on visibility and that could mean that she has twice the opportunity to step into sticky situations at the hands of Supergirl’s writers. Luckily, that is not the case and Miss Danvers is able to deftly navigate what could be viewed as “difficult subject matter”. Here’s an example: the aforementioned identity shift, when Alex comes out. There is a level of doubt expressed by her as a character when she comes out first to her sister and then to her mother Eliza. Both members of her family accept Alex’s announcement without question and even her father figure J’onn J’onzz admits that he has known for a while (the telepathy helps). Coming out stories are not wholly new to mass media, although they do tend to fall into one of two categories: 1) teenagers or young adults coming out and dealing with the ramifications (usually involving parents), or 2) older persons coming out and dealing with the ramifications (usually involving children). 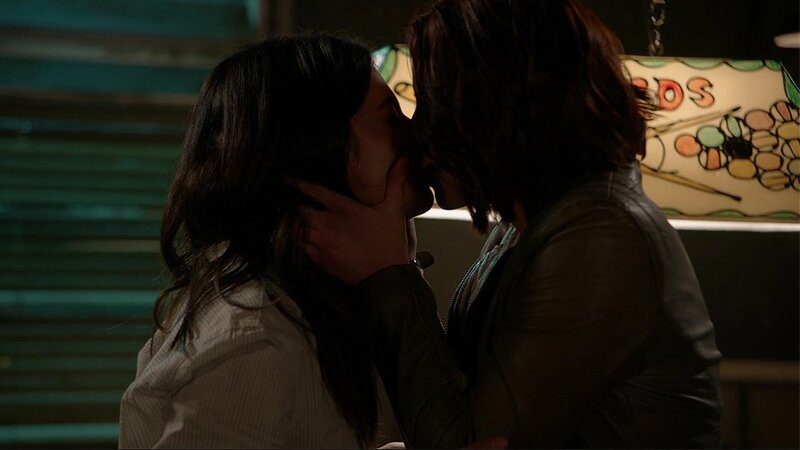 Alex Danvers has come out in her 30s as a successful career-oriented woman pursuing a relationship with a woman who is easily her equal (Maggie Sawyer, played by Floriana Lima, a detective for the National City Police Department). Portraying a highly intelligent woman coming to terms with and accepting her sexuality in a realistic light (or as realistic as we can get on a show called Supergirl that also stars a Martian), is a bold move for DCTV to make. This is a major media conglomerate shining a light on and accepting a member of the LGBTQIA+ community in a way that they haven’t done before. The idea that Alex and Maggie are equal partners is driven home during the Valentine’s Day episode (that actually aired a week after Valentine’s Day), Mr. & Mrs. Mxyzptlk, when both Alex and Maggie suffer confusing feelings over sharing their first holiday together. 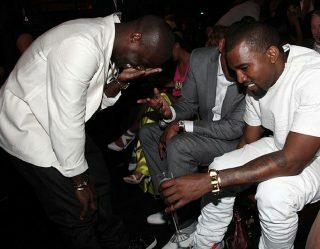 In the end they both wind up making compromises and end up happy together. It is a wonderful portrait of a functioning, mature relationship that seems out of the grasp of almost every other DCTV character to date. Yes, Alex is not the only LGBTQIA+ character to appear on a DCTV show. Yes, characters like Mister Terrific, Nyssa Al Ghul and Sara Lance are some of the most prominent members of this community and they all pre-date Alex Danvers. But I would argue that Alex shines the brightest in this crowd. She is the only character listed who hasn’t had her relationship fall to ruins as a result of the pressures unique to her job, with a focus on the breakup being sexuality. There are certainly readers out there saying, “Give it time.” and that may be true, but the current trajectory that she and Maggie are on seems to point more in the direction of growing them as partners in the workforce and at home. Series co-creator Greg Berlanti has been out for some time and it is likely him that fans of the DCTV franchises have to thank for the variety of LGBTQIA+ characters that we have. 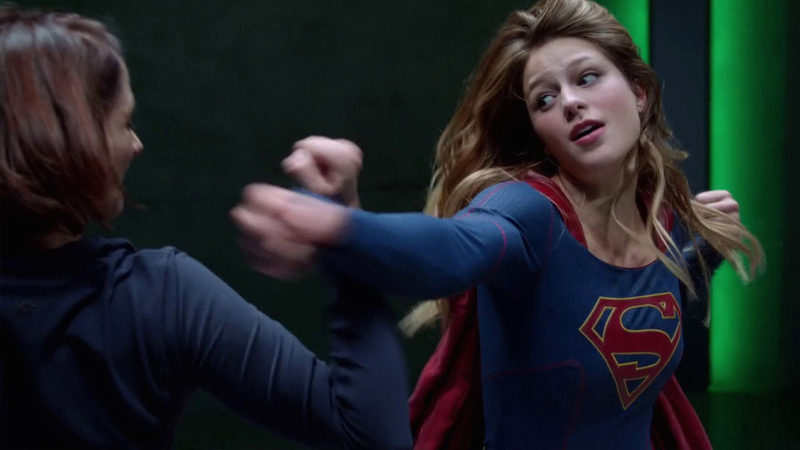 It is interesting that Supergirl – his fourth in the interconnected Arrowverse franchise (fifth if you count the animated web series Vixen) – is the one to most successfully shine a light on a functioning relationship – headlined by a woman no less, and a woman that every child should strive to be more like. 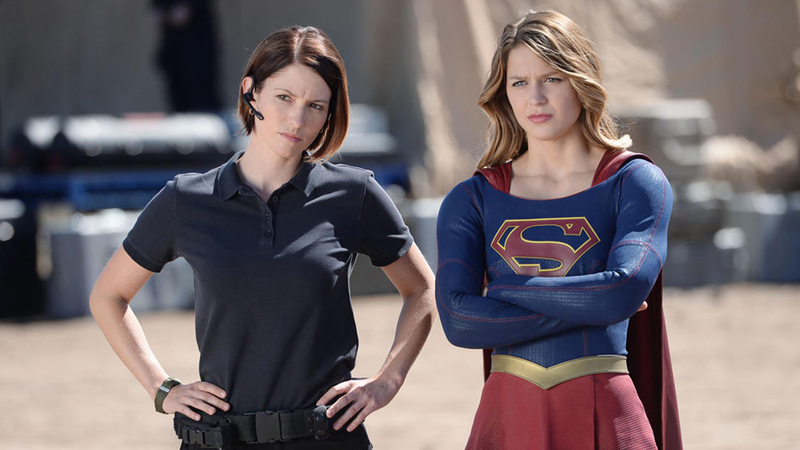 To this day, Alex Danvers remains one of the most progressive creations to come out of the DCTV pantheon and, sadly, one of the most underrated. Let’s try to do something about that – shall we?